I know sometimes the number of segments on the antenna are important, so I am adding this closeup. Thanks for any help. ...the scape and pedicel (two) plus the segments of the flagellum (ten). Many references state that for most bee taxa, males typically have 13 antennal segments, whereas females have 12. See, for instance, the 2nd paragraph in this passage from "Bees of the World", by Charles Michener. 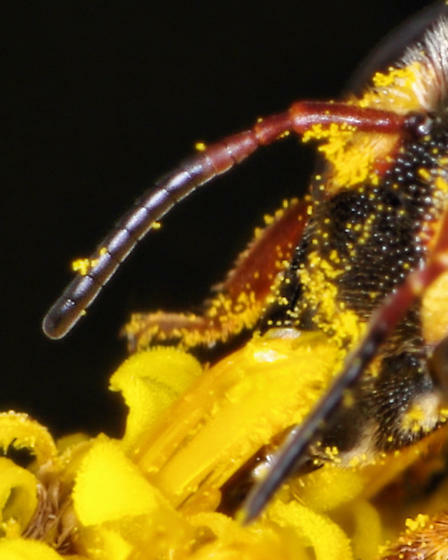 PS: Exquisitely beautiful bee and images! Moved from Anthidiellum notatum rufimaculatum.